Refreshing and invigorating, this compact- sized aromatherapy roll- on is a great companion to relieve your everyday fatigue. 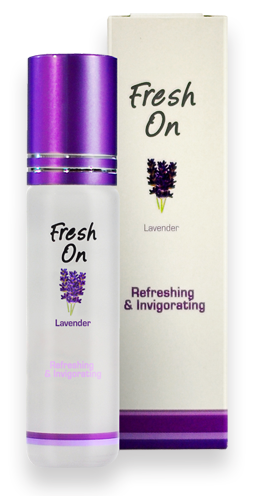 Formulated from natural aromatic ingredients, it comes in 3 lovely scent- original, lavender and barley mint. Fresh on also relieves heaches, giddiness, motion sickness and insect bites from a convenient roll on bottle. Fresh on refreshes, relaxes, calms your mind and helps you stay alert every day. It is a handy remedy and travelling companion for every one.